If you’re feeling that particular need to eat something healthy and full of green stuff—as we often are after a good weekend—make this. It’s a riff on tabbouleh salad and you’ll feel better after eating it. Nothing like lots of veggies and whole grains to set you right. It also keeps well in the fridge so you can enjoy it for lunch the next day if you’re still feeling the need to detox. 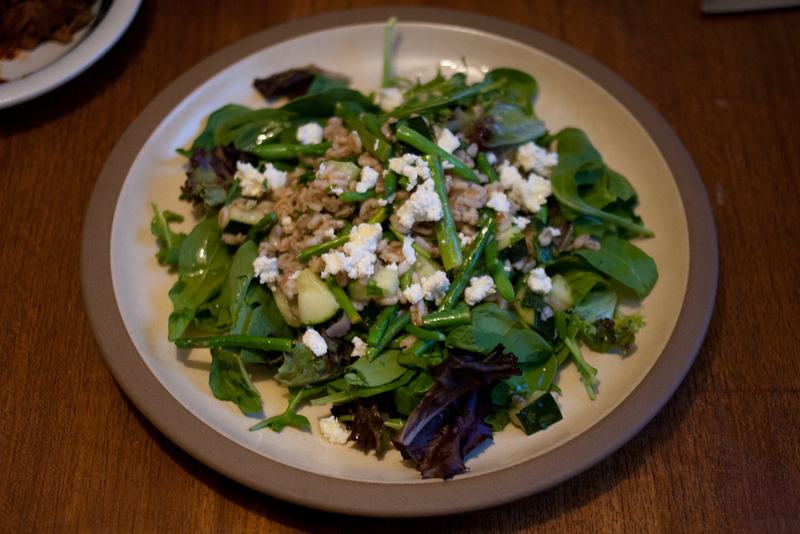 The key to avoiding a bland grain salad is lots and lots of lemon juice. Also be sure to season the water that you’re cooking the grains in – it should taste like sea water. You could make this with any assortment of veggies you have on hand. It’s a very forgiving salad. Cook the farro according to the package directions. 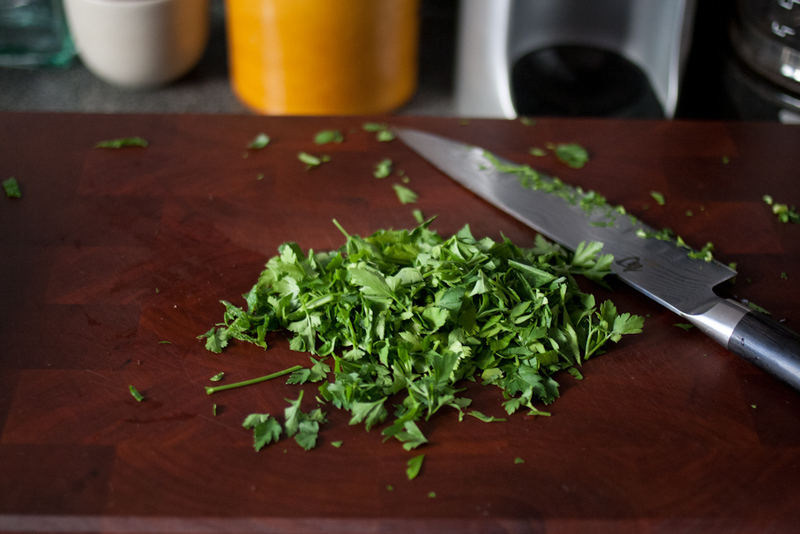 In a large bowl, combine chopped parsley, shallot, lemon juice and zest and cucumber. Put a pot of salted water to boil. 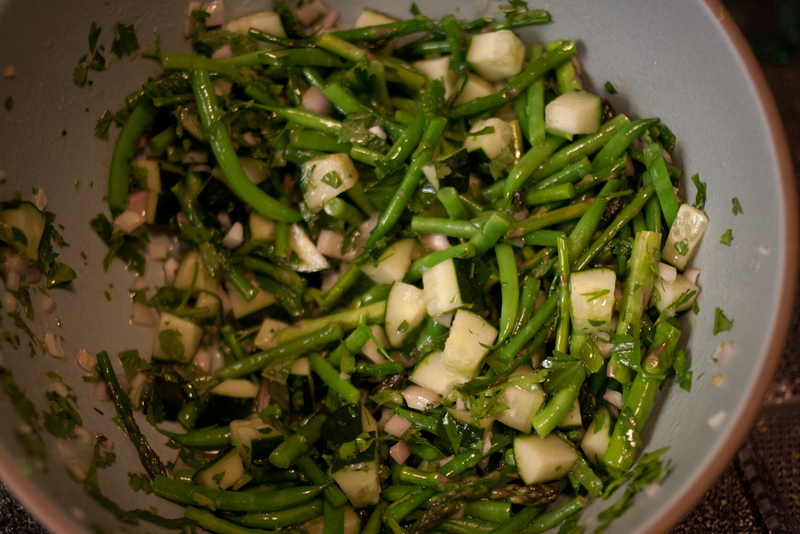 Blanche the asparagus and green beens for a few minutes, until just tender. Rinse with cold water to stop their cooking. Add them to the large bowl. Add the farro and toss with olive oil, salt and pepper. Add more lemon juice if necessary. Make a bed of salad greens on a plate. 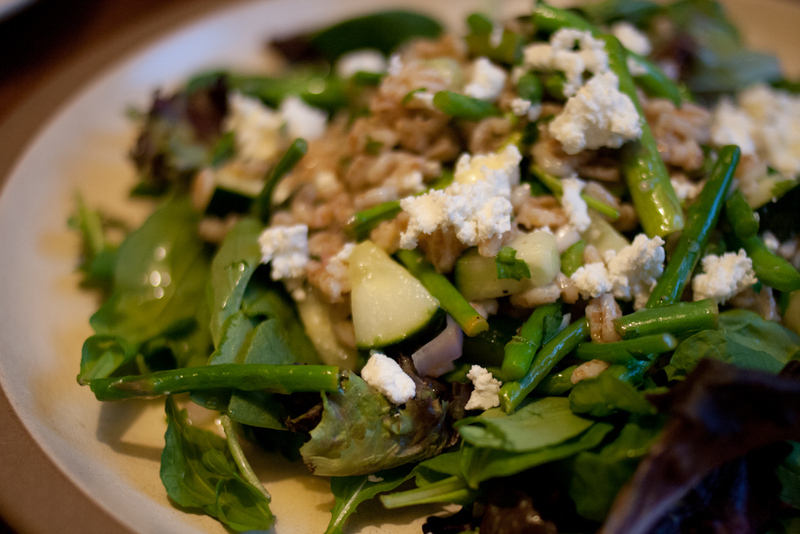 Spoon some of farro salad on top of the greens. Top with a little goat cheese to serve. Enjoy! Three years ago when Jordan and I started this blog, we never thought we’d to keep it up this long. Like several previous blogging attempts, I fully expected it to fizzle out after a few months. But somehow, cooking and sharing our stories here has really stuck. 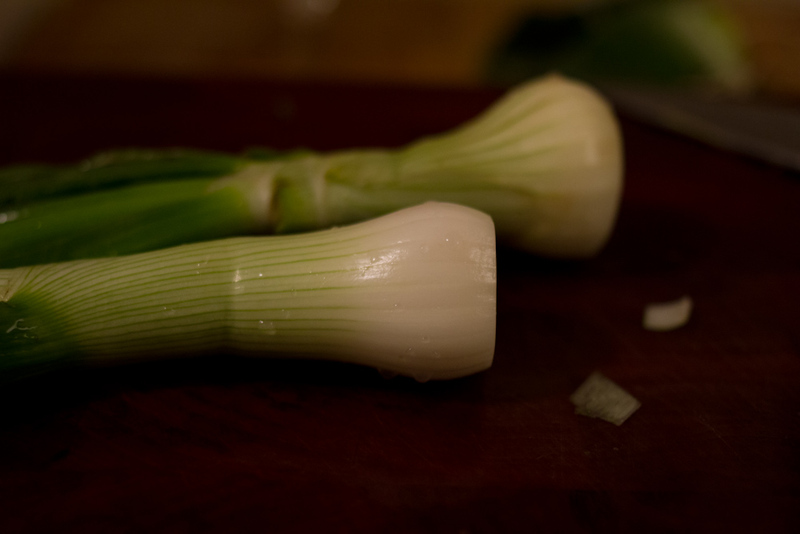 Because of this blog, I’ve become a much better cook, a more adventurous eater, a better photographer and a better writer too. I couldn’t be happier than when my tiny apartment kitchen is full of friends and food, leaving me with stories and recipes to share. Because it seems like this blogging thing might stick around for a while, I decided to try my hand at a redesign. 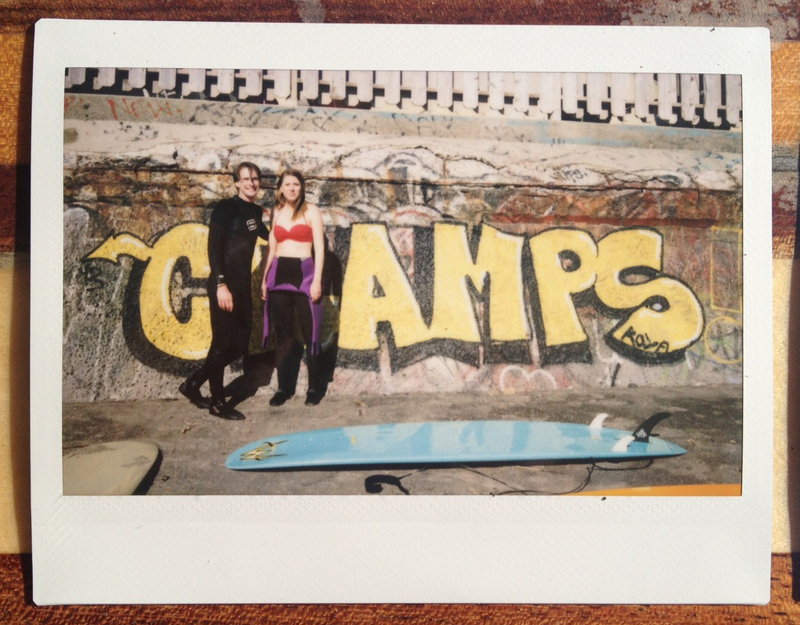 We hadn’t changed anything about the blog since we started it a few years ago and it was time. Now here we are with a new logo, cleaner design, and mobile optimized! With any luck, an updated recipe index will soon follow. If there’s something new you’d like to see, here’s your chance to let us know. 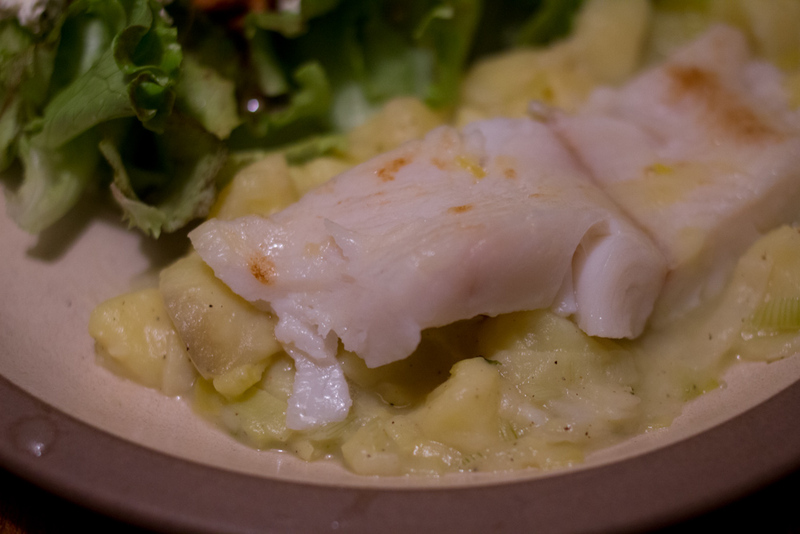 And lastly, a huge thanks to you for reading and commenting and cooking our recipes. It means the world to me. I never used to eat fish. I basically avoided it, except for the very occasional piece of grilled salmon at a family party. Until I met Jordan. Jordan is a lover of fish. He was quick to introduce me to sushi, moules frites and smoked salmon. And, since I was very eager for him to like me, I ate them, lifelong avoidance set aside. Turns out he was right, all those fish, they deserve my love. This particular pasta is a Jordan dish. He never failed to make it when he’d come to visit me at school or when I was home over the summer. It’s lovely all year round. 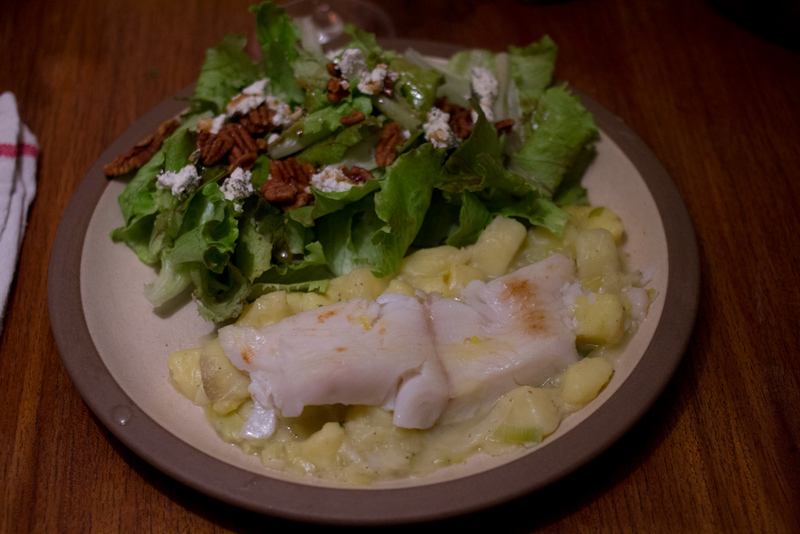 One Valentine’s Day when Jordan was visiting me in D.C., we took the Metro to Eastern Market, wandered into a cooking store, splurged on our first All-Clad saute plan, and then went home to christen it with this dish. Really any pan that gets hot will do, and it’s pretty silly to buy All-Clad when you live in student housing, but that’s the story. Obviously, we still have the pan; those things are rock solid. Put a pot of salted water to boil. 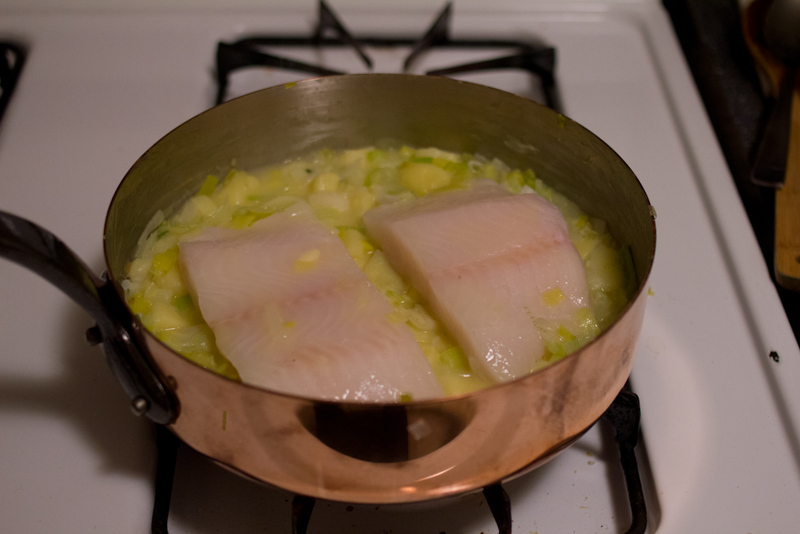 In a large saute pan over medium-low, heat the butter. 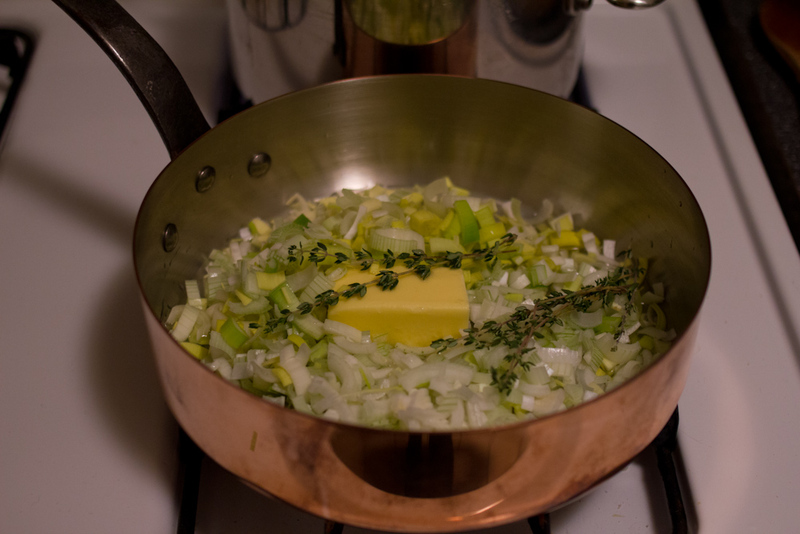 Saute the shallot in butter for a few minutes, until softened but not brown. Deglaze with the wine. Let the wine reduce slightly, about 3 minutes. Add the cream and turn the heat to low. 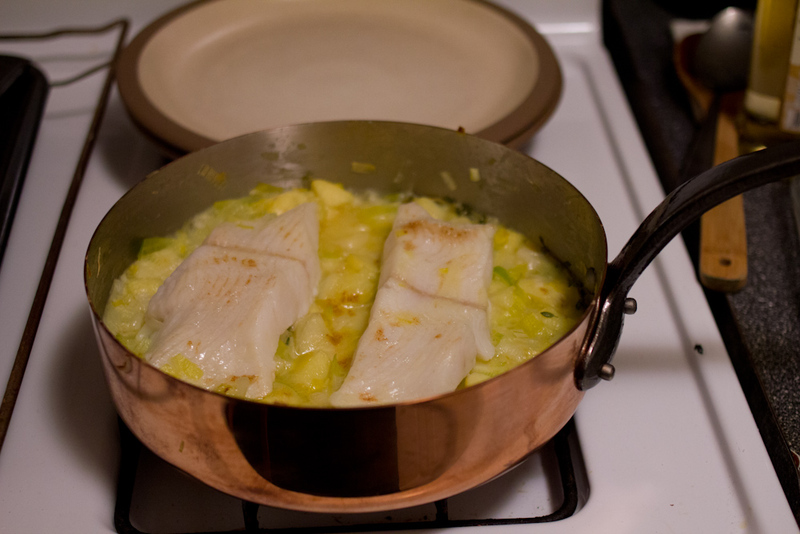 Let the sauce come to a boil and thicken, stirring often. Cook the pasta until al dente and drain. 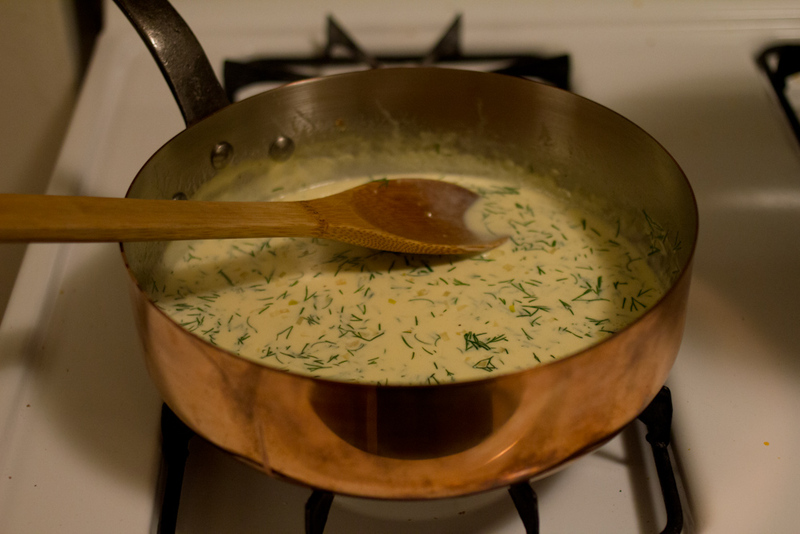 Turn the heat off on the sauce, add the dill and lemon juice. Toss the pasta with the sauce. 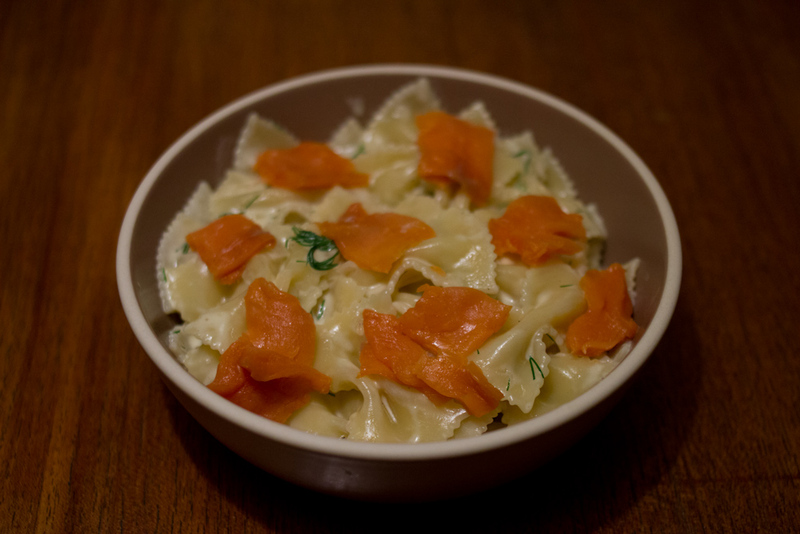 Top with smoked salmon to serve. If you’re only cooking for two, you might want to cut this recipe in half. Sadly, this pasta does not reheat well. 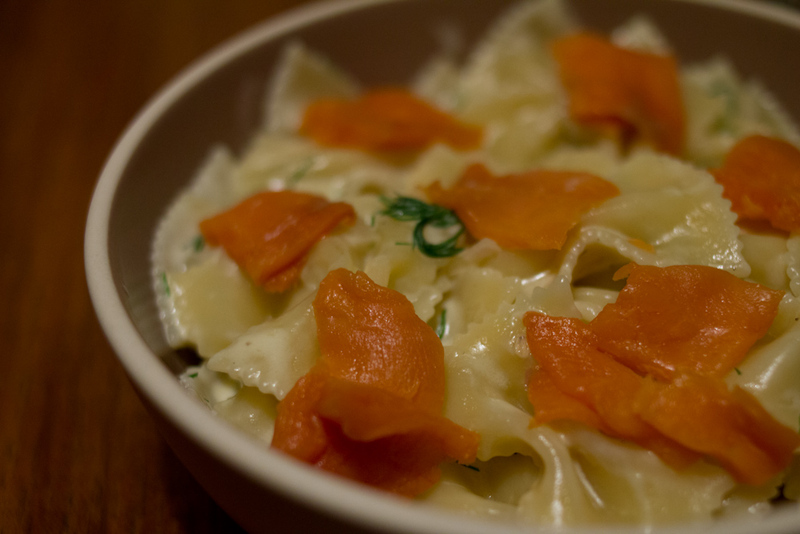 The cream gets absorbed by the pasta and the smoked salmon is overcooked by the time the pasta is heated through. Microwaved cream sauces really are a travesty.